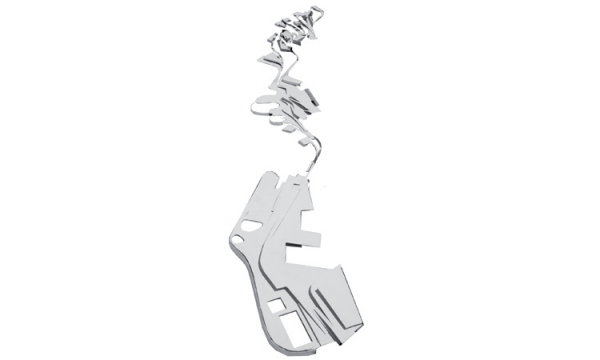 The project, in its distinctive longitudinal character meets the various transverse tensions that happen throughout the area of operation. 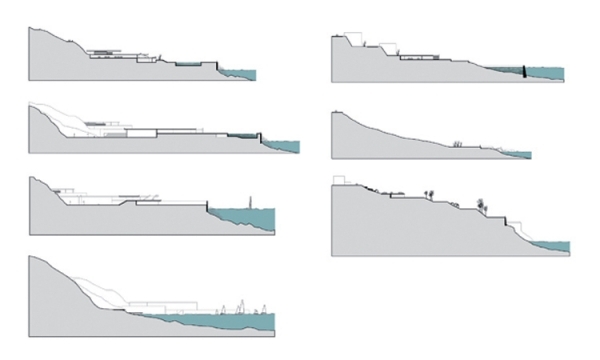 Understood as a whole, in a global manner, it establishes a sequence of spaces that may be covered along the coast. 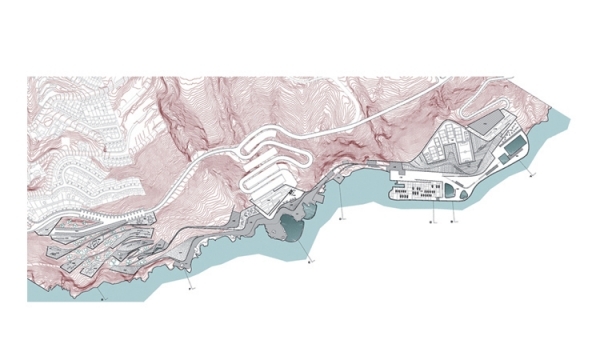 The proposal is defined as a "mechanism of infiltration" in the landscape that colonizes the area. 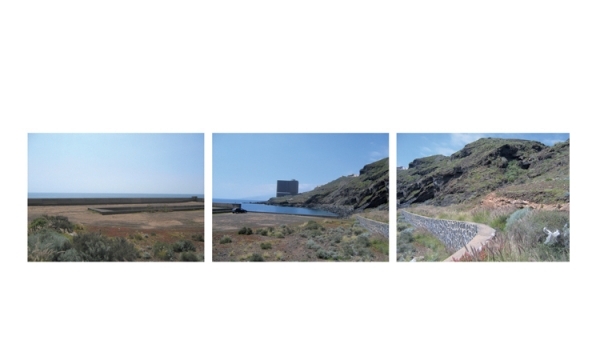 As the volcanic lava running down the slope to solidify at sea, the project gets infiltrated and invades the territory stratifying and folding according to the different situations of edge and contact that occur along the coast. 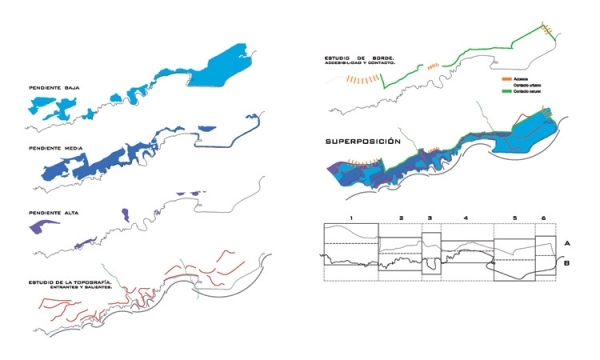 The landscape and geographical conditions shape the patterns of configuration of the proposed intervention. 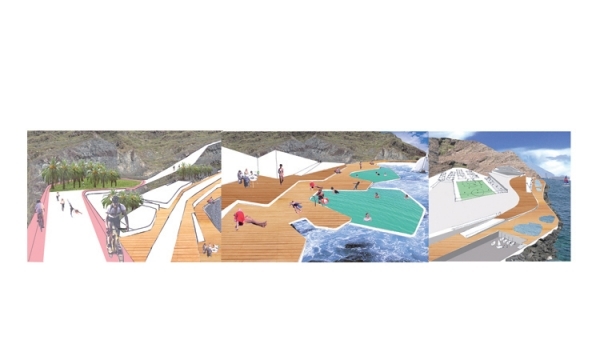 Continuous surfaces constitute a hybrid space in which activities and routes develop and alternate, and where public open space is the real protagonist of the project, acting as a receiving floor of various activities. 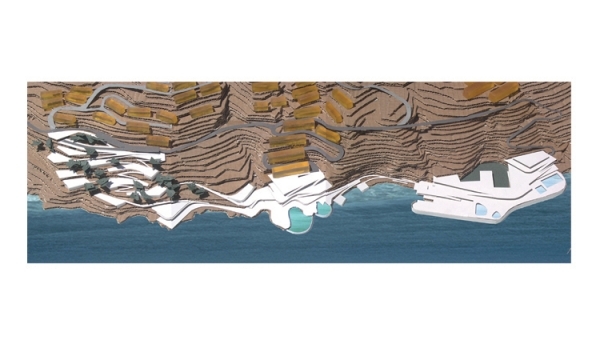 It is proposed therefore to create a continuous space along the coast which allows to have a new conception of the existing landscape and to house the different uses proposed.